It’s going on five years since Josh Brolin made his first appearance in the Marvel Cinematic Universe, tucked away in a mid-credits scene in Joss Whedon’s Avengers movie. In those intervening years, the Mad Titan has in many ways acted as the MCU’s master puppeteer, quietly pulling the strings from the shadows (read: his levitating throne) as he worked to assemble all of the necessary Infinity Stones to fill his all-powerful Gauntlet. This all folds into the narrative of Avengers: Infinity War, Joe and Anthony Russo’s upcoming sequel that will bring together all of the major players of the MCU for a truly epic clash with Thanos, and it shouldn’t be all that surprising to hear that Josh Brolin is set for his biggest Marvel role to date. As we learned last week, the actor is now poised to follow up Infinity War by playing Cable in the long-awaited Deadpool 2, after beating out Michael Shannon, Russell Crowe (The Mummy), Brad Pitt and Stranger Things star David Harbour to land the coveted gig. 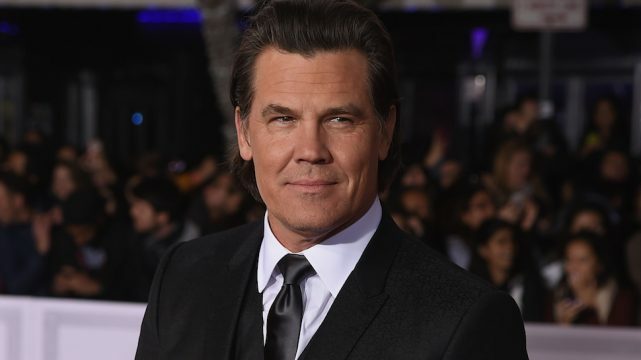 It proved to be a casting announcement straight out of left-field, though some took issue with the fact that Josh Brolin will soon be straddling between Marvel and Fox’s respective universes. Director David Leitch is expected to court Deadpool 2 in front of the cameras this June ahead of an expected release in 2018. Cable and Domino were undoubtedly the two biggest roles to fill, but we fully expect 20th Century Fox to announce a handful of new recruits over the coming weeks and months. As always, stay tuned for more.